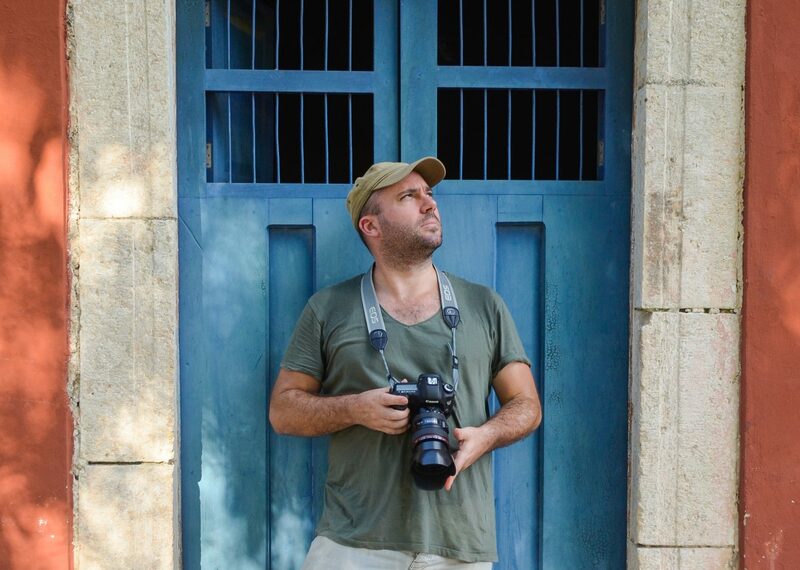 Graeme Green is a British photographer, journalist and travel writer. For 12 years, he has been travelling the planet, from Cambodia to Mexico to Botswana, capturing remarkable images and reporting stories for international newspapers and magazines, including The Sunday Times, The Guardian, The Sunday Telegraph, National Geographic, Wanderlust, BBC Travel, The Times, South China Morning Post, Digital Camera Magazine and New Internationalist. Traversing the world with a camera and a notepad, Graeme has spent time with traditional and sometimes vanishing cultures, including Amazonian tribes, Tuareg nomads, Bhutanese monks, Namibia’s San bushmen and Venezuelan gauchos, as well as a range of contemporary cultures, including street artists, authors, dissidents, scientists, boxers, musicians and tequila masters. Along the way, he’s interviewed Angelina Jolie, Arcade Fire, Ricky Gervais, Sir David Attenborough, Robert Downey Jr, David Cameron, Courtney Love, Al Gore, Tinariwen, Richard Dawkins, James Brown and many more. Graeme’s passion for wildlife photography has taken him around the world, from Botswana’s Makgadikgadi Pans to Antarctica, from Venezuela’s Los Llanos to Tanzania’s Ngorongoro Crater, and from the Highlands of Ethiopia to the frozen north of Japan. He has spent time photographing some of the most fascinating and colourful creatures on the planet, including mountain gorillas, lizards, lions, monkeys, eagles, elephants, bats, penguins and more. His photos help emphasize the need to protect the natural world, and he often reports from the frontline of conservation on endangered species and threats to the environment. Adventure travel assignments have seen Graeme paragliding with birds of prey in Nepal, cycling across Burma, freediving in Thailand, climbing volcanoes in the Democratic Republic of Congo, surviving on desert islands in Belize, wild camping in Antarctica and motorcycling across Bolivia’s Salar de Uyuni. He particularly enjoys exploring remote regions, wild landscapes and the great outdoors. Graeme’s work also encompasses major global issues, including human trafficking, land rights, conflict, poaching, prostitution, child soldiers, violence against transgender communities, conservation, street kids and climate change, often telling otherwise ‘invisible’ or unreported stories from remote parts of the world. Graeme is currently based in Mexico.